Take a break from the holiday hustle! This year we are fortunate enough to offer two Christmas events for our friends and family. 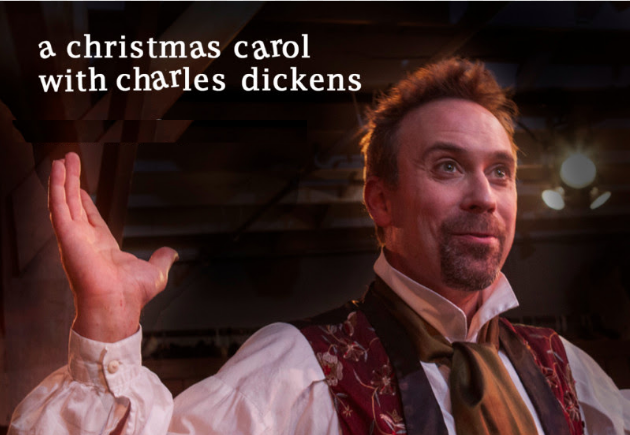 First is “A Christmas Carol with Charles Dickens” performed by the Independent Shakespeare Company featuring David Melville as Charles Dickens. Join us on December 14th at 6:00pm for a magical escape through pure storytelling with musical accompaniment and dramatic interjections by Miss Kalean Ung. 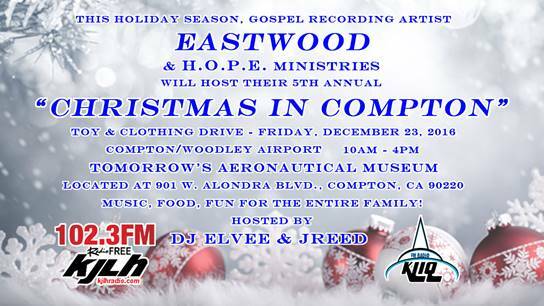 The second is “Christmas in Compton” on December 23rd from 10 am to 4 pm. Eastwood and H.O.P.E Ministries will be hosting a gift giveaway with music and food to start off the Christmas weekend.